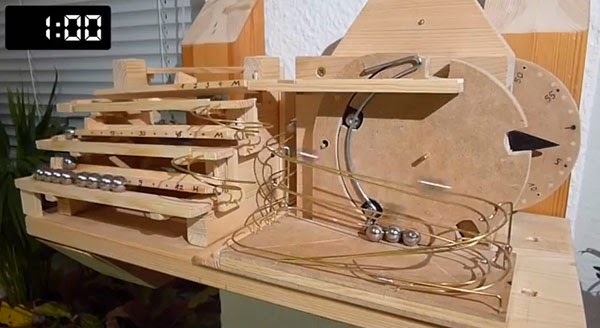 A mesmerizing homemade mechanical rolling ball clock that runs for 12 hours and is driven by weighted marbles that runs on wooden traps. The clock uses a flatiron as a counterweight and a pendulum with a pinwheel escapement as the timekeeping element. The clock is precise to less than one second of deviation per day.